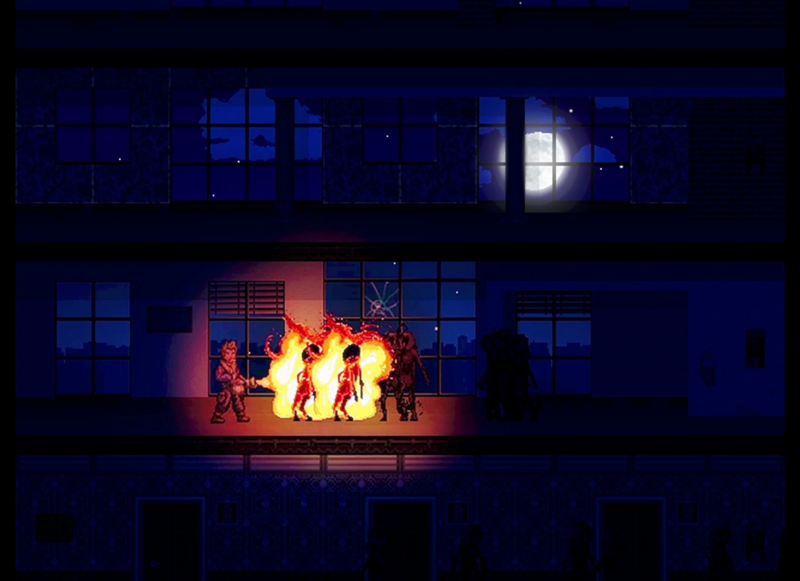 Highrisers is a pixel styled urban survival rpg, coming for PC. A single player experience full of exploring, scavenging, crafting, developing, researching, fighting and hoping for the next dawn. 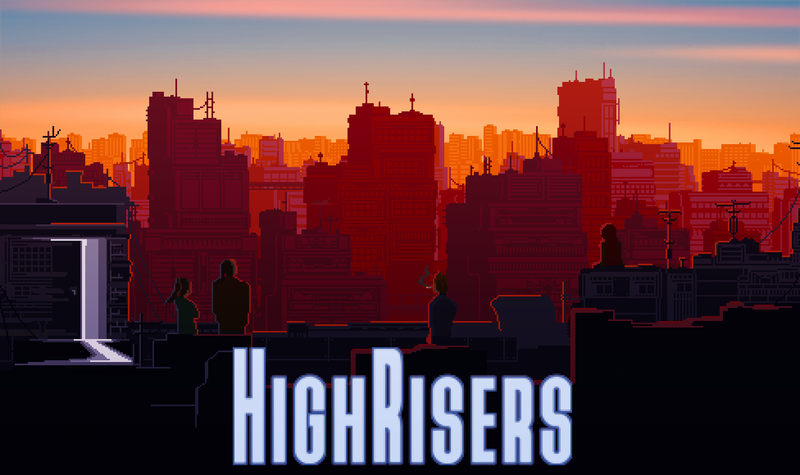 Highrisers was born from the wish to create something that would combine elements we loved in games in a new way. It did not seek to revolutionize the genre with a never-seen-before mechanic or innovative controls; There is no single feature about Highrisers that could be called brand new. 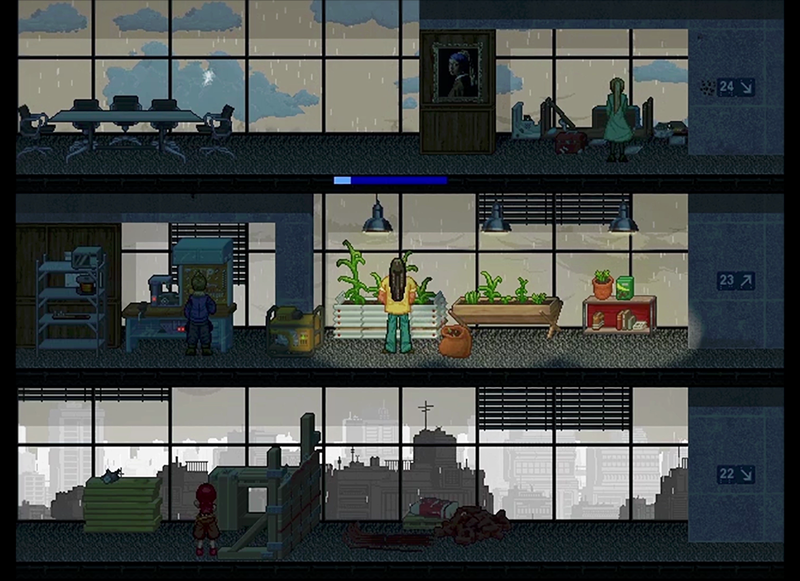 16 bit pixel style seems to be a common choice for indie games today (the real stylish dudes do it in 8-bit! 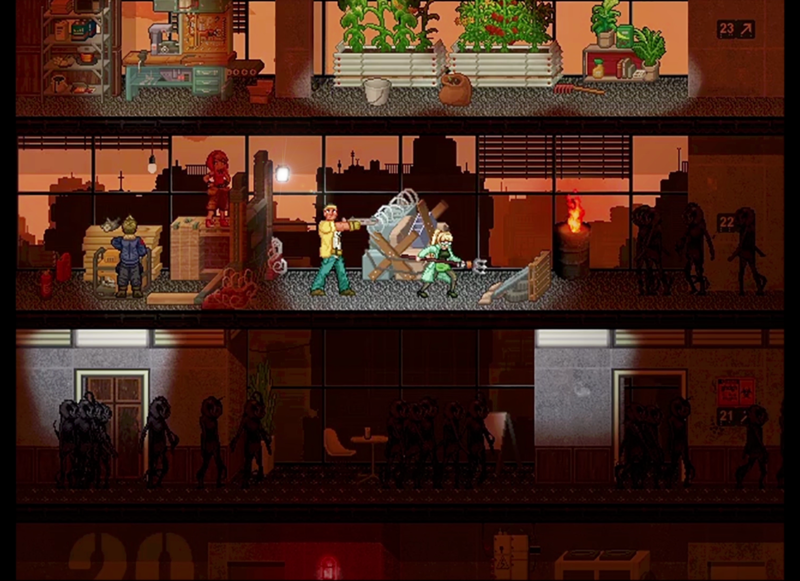 ), the setting in highrise buildings has been seen various times by now and especially the zombie survival theme is nothing to write home about. And yet, the team saw a distinct quality in the project; something that could make the end result larger than the sum of its parts. Something that hasn't been done before this way. Solar Powered Games wanted to create a game where curiosity and the the desire to build and craft in order to solve problems could be combined to something intriguing. The goal was - and still is - a game with sleek mechanics, intuitive to pick up, yet with depth and complexity in the decisions the player has to make. 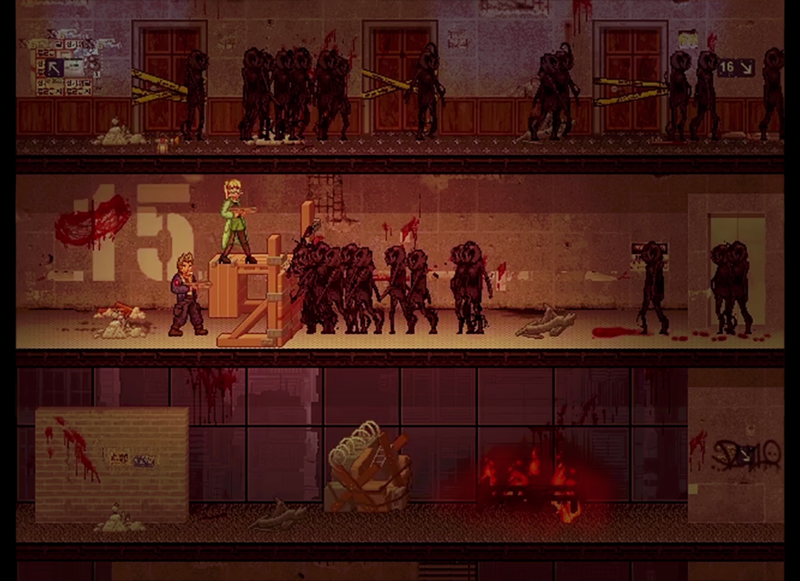 Enjoy a pixel-styled environment with lovely details, reminiscent of the 16-bit era. 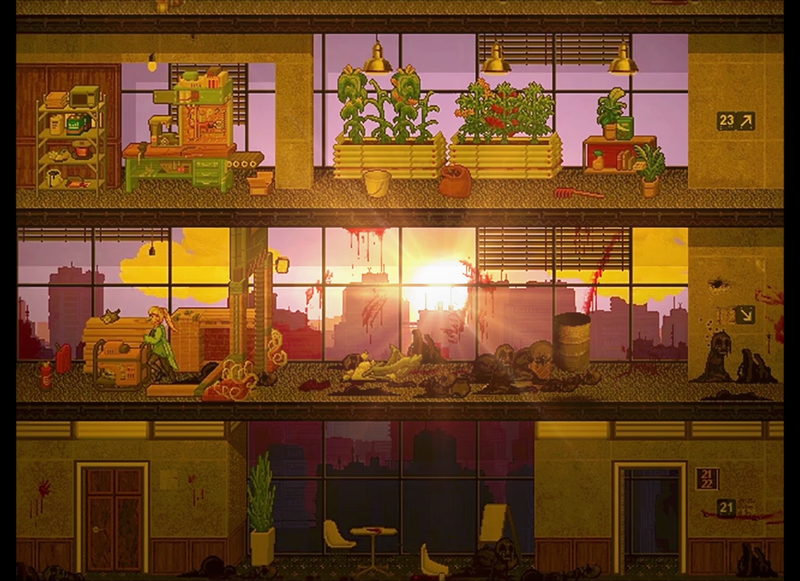 Explore highly interactive, procedurally generated levels, where nearly everything can be scavenged, commandeered, broken apart for building materials or used in some other way. Take whatever you can find - you will need it! 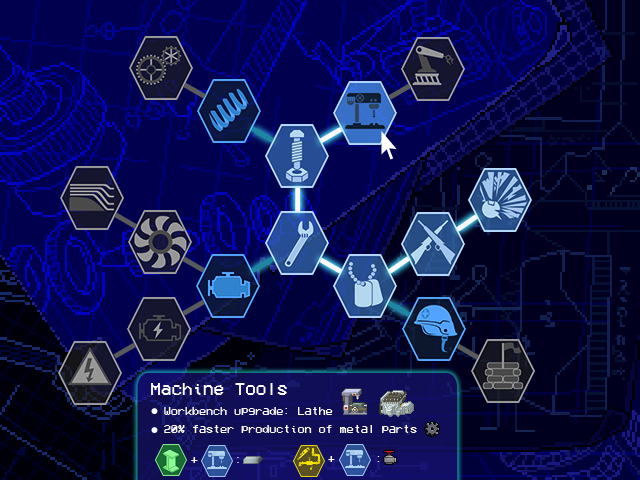 Control a team of four unique characters, each with its own skill tree. 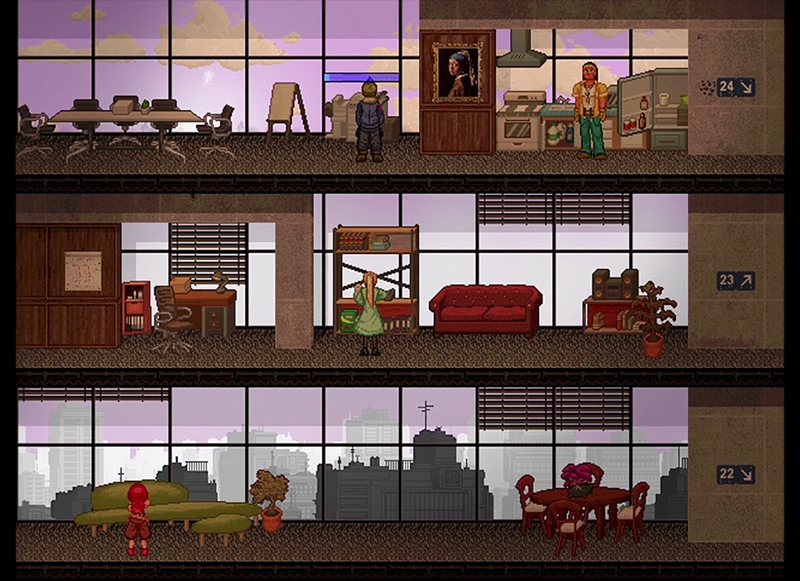 Puzzle on the perfect combination, as the skills of the four characters are often interconnected and will affect the same game feature. Find your own timing. 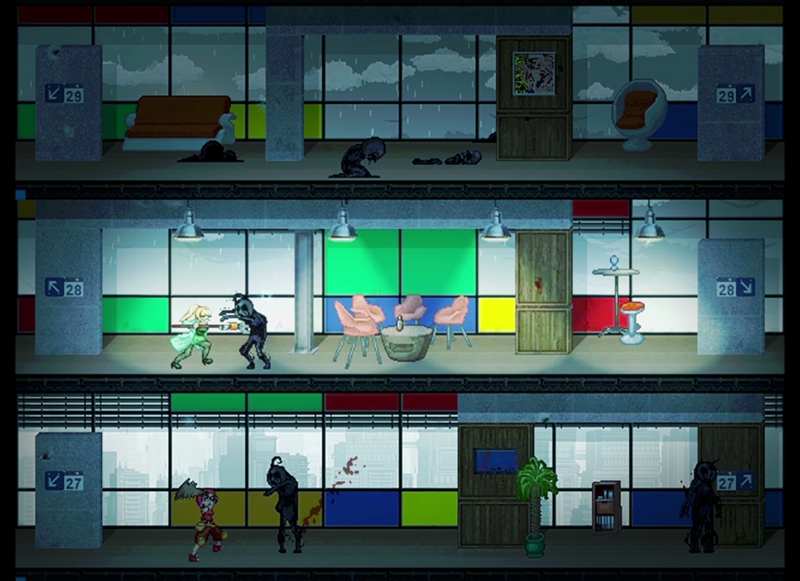 The upper levels are relatively safe and can easily be scavenged. But what will you do once they're picked clean? Will you venture further down, in search of useful loot? 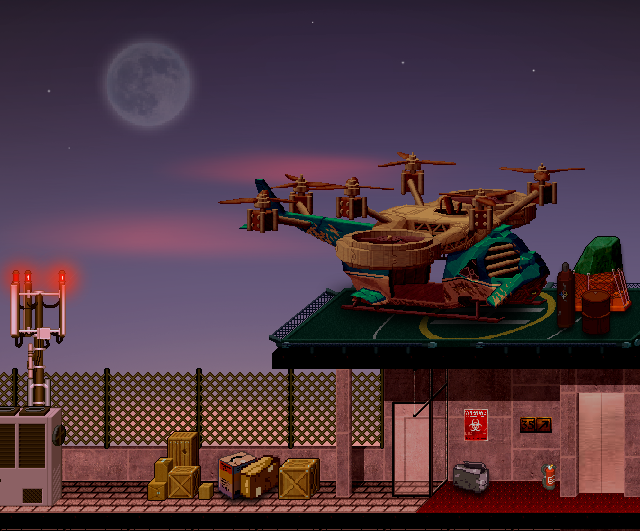 Or will you start the engines of your - by now hopefully repaired - helicopter and make the leap on the next building? Watch out for the skies - the lighting system will completely change the mood of the deserted buildings over the course of a day, and dynamic weather effects will affect your play. Complete unique soundtrack and voice over for each character. 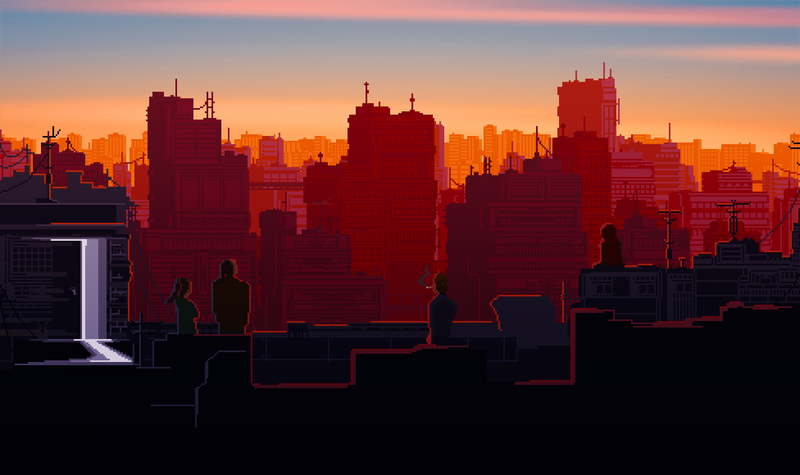 An endless city - beautyful background art by pixel artist waneella. 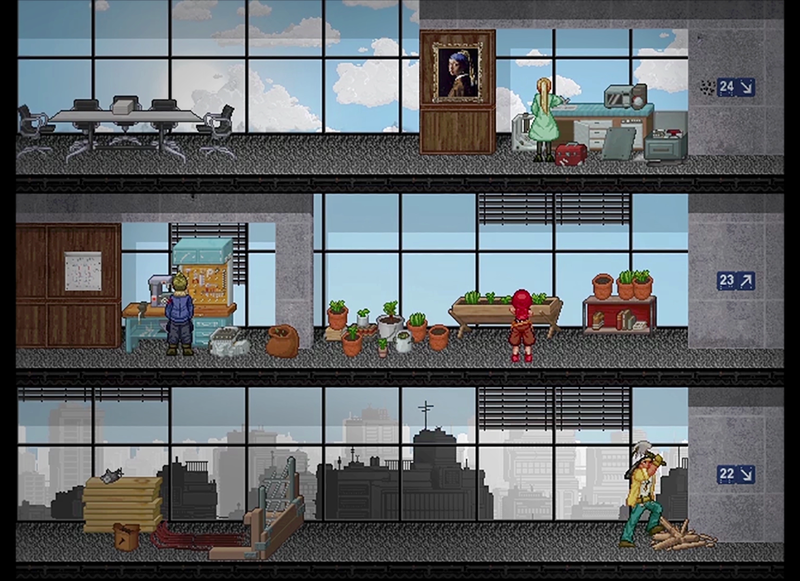 Our current kickstarter campaign for Highrisers: kickstarter.com. Our steam greenlight site: steamcommunity.com. 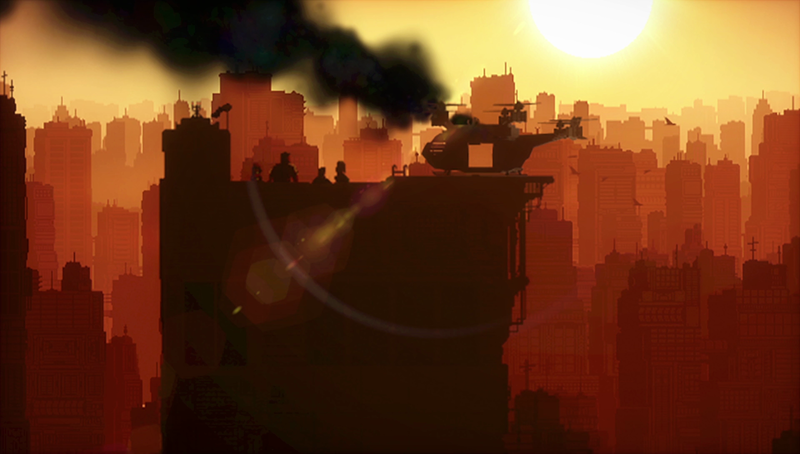 Solar Powered Games is an independent game development studio from the South of Germany, founded by Nico and Markus Grupp. More information on Solar Powered Games, our logo & relevant media are available here.